Memorial Day is right around the corner, and we are planning a cook-out with family and friends! I love having friends over, especially with the nicer weather we have been having. As a person who loves to cook and try out new recipes, it is always fun to create home-cooked meals that are healthy and flavorful, and I love sharing new dishes with our guests. My husband loves to grill, so in the late spring and summer, I tend to prepare food that can be cooked on the grill outside. This Memorial Day, I wanted to incorporate turkey into the main dish, after learning that HoneysuckleWhite works with more than 700 independent farmers to ensure their turkeys are raised without growth-promoting antibiotics! If you’ve spent much time on my website, you’ll know that I am a huge fan of less additives to our food, so that is a huge plus for me! (Quick note: while shopping, you can look for the USDA Process Verified seal on meat packages to ensure that your turkey is made without growth-promoting antibiotics). 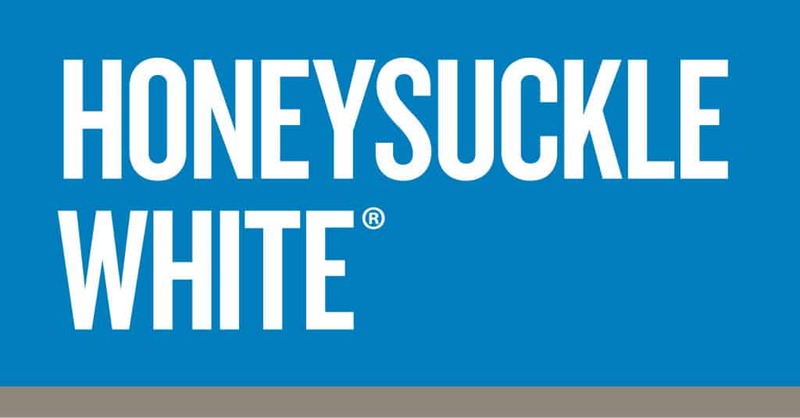 I also love buying Honeysuckle White products, because they offer better food at a better price, which is hard to find these days. They also offer a variety of turkey products, including ground turkey, sausage, tenderloins, burgers and more! My husband is a huge red meat fan. When he thinks of grilling, he thinks of ribeyes and burgers. I was a little apprehensive of his reaction to turkey kebabs, since turkey is often thought of as a “healthy” food (and for good reason). But, I pressed on, because I want to incorporate more of lean turkey into our diets instead of red meat. 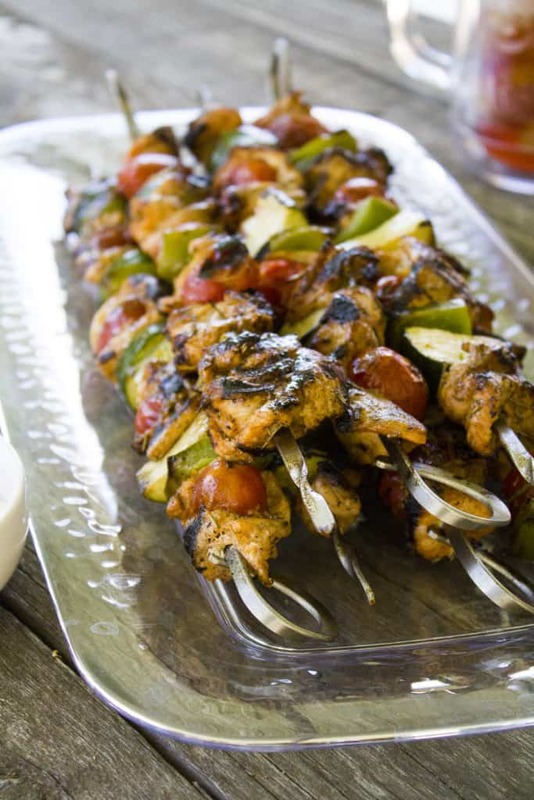 These kebabs are threaded with moist and marinated turkey cutlets, juicy cherry tomatoes, crispy bell peppers and salty bites of zucchini. And my husband ended up LOVING this dish! He gobbled these up, and agreed that we should serve them to our friends and family this Memorial Day. 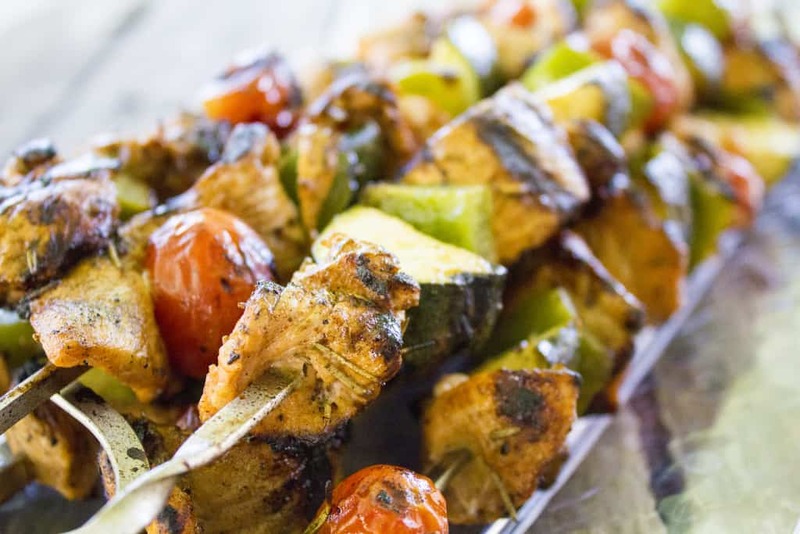 So, if you are feeding red meat lovers, and want to put a healthy spin on dinners and summer grill recipes, I highly recommend you try out this recipe. Pound turkey breasts until they are ¼ – ½ “ thick. Cut into long strips. Place in a large glass bowl. Pour in olive oil, dried rosemary, lemon juice, salt and pepper. Cover and refrigerate at least two hours, and up to over night. Remove stem from zucchini, cut in half lengthwise, and cut into ½” pieces. Remove stem from bell pepper, and cut into 1” cubes. Thread one end of a piece of turkey onto the end of a skewer, followed by a tomato, then thread the other end of the turkey piece, wrapping the turkey around the tomatoes. Follow this with a piece of bell pepper, then a zucchini chunk, and repeat until all pieces are used. Warm up your grill over medium-high heat. Lightly brush the grates with olive oil. Place kebabs on grill, and cook 8 – 10 minutes or until internal temperature of turkey has reached 165 degrees Fahrenheit (all turkey should be cooked to this temp). Vote on your favorite turkey recipe for Memorial Day & Win Big! Want more inspiration for delicious turkey recipes for Memorial Day? Check out Honeysuckle White’s Memorial Day Turkey Recipe Contest! Vote below for your favorite recipe (a major thanks, if you vote for mine! ), and you will be entered for a chance to win an assortment of ground turkey and sausage, as well as color coded cutting boards! The contest is open now until May 25th! A friend of ours gave us a rosemary plant as a housewarming present because she knew it was one of my favorite herbs to cook with. I cannot wait to use it in this recipe! 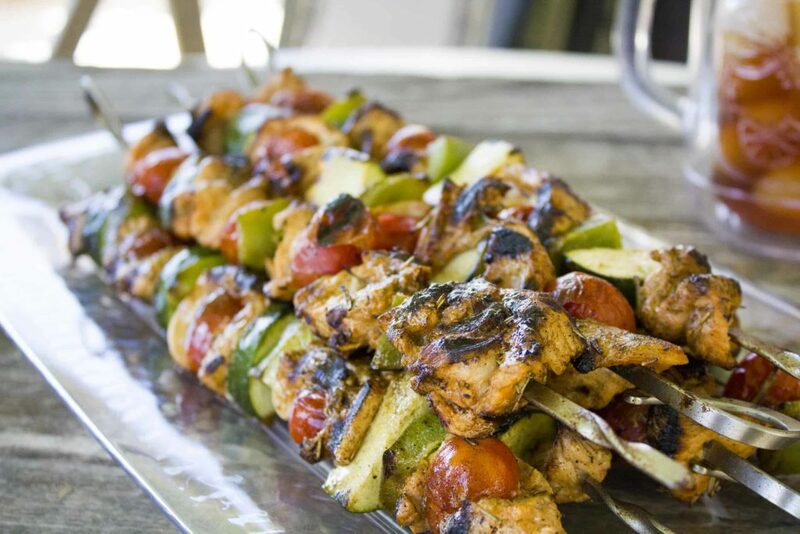 Now that the weather has finally warmed, it’s the perfect time to fire up the grill for kebabs. We have been incorporating more turkey in our diets. It is healthier and tastes so good! 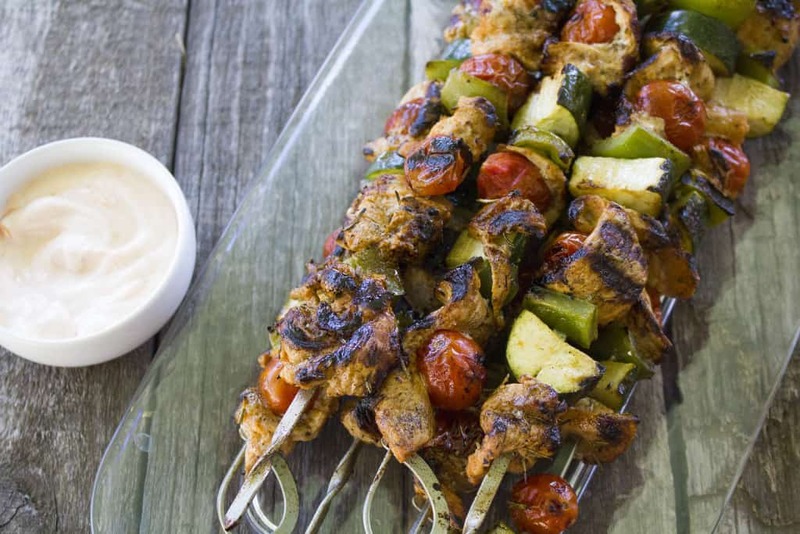 These kebabs would be a perfect meal any night. Love the spices you used and the fact that you marinated the turkey prior to grilling – so much more flavor! We love to grill out all spring and summer long. Can’t wait to try your kebab recipe.